The New York Stock Exchange officially opened its doors for business 116 years ago this month, the New York Times reported. 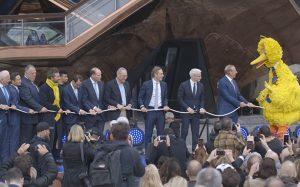 To celebrate, 2,000 people assembled inside the new building at 18 Broad Street for the dedication ceremony. Outside, ticker tape and wads of paper were thrown from neighboring windows as makeshift confetti, while crowds gathered nearby on Wall Street. NYSE president Rudolph Keppler symbolically banged an ivory and gold gavel to commence business — the same gavel that closed business in the old exchange at 10-12 Broad Street. Keppler described the new exchange, designed by George Post, as an “imposing structure”fitting of the institution and the country’s ascension in both global finance and diplomatic affairs. “The magnificence of our new home is only in keeping with the magnitude of our business,” Keppler told the gathering. 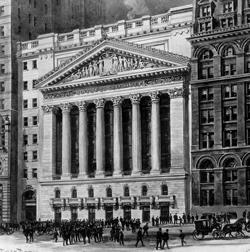 Founded by 24 brokers in 1792, the NYSE expanded rapidly in the late 19th century as listed stocks skyrocketed in popularity, with trading volume tripling between 1896 and 1899. The NYSE also had its own ballooning business costs. When demolition of the old exchange began in 1901, the project was expected to take a year and cost $1 million. But delays caused work to drag on, and the final deconstruction cost soared to $4 million. New York Gov. 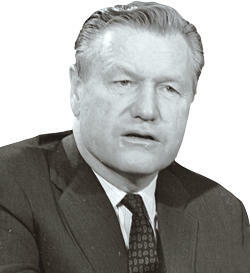 Nelson Rockefeller urged the state legislature to pass a multifaceted transit bill to expand New York City’s subway system, the New York Times reported 50 years ago this month. Transit was one of Rockefeller’s pet projects, and the $600 million cash infusion came about a year after the legislature created the Metropolitan Transit Authority. The MTA as a new entity was a victory for Rockefeller in wresting control of the city’s transportation network away from omnipotent city planner Robert Moses, and today, it is a sign of Albany’s control over the city’s public transit. Rockefeller’s new expansion plan for New York’s subways was expected to cost $1.4 billion and include longer lines throughout all the boroughs, as well as a “new” Second Avenue subway. 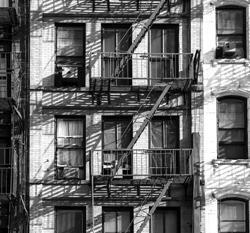 But within the year, political maneuvering and conflicting demands from city residents would stymie that Second Avenue subway plan. Construction only began in 2000, and the first of two phases opened in January 2017. More broadly, the state of the city’s subway system has turned into a full-blown crisis with the task of modernizing an outdated transportation network, which is expected to cost around $40 billion and take a decade to execute.